Feel like a champion and get ready to set your fastest sprint time with the men's RACE TIGHT. The tight is designed to mould like a second skin for hish-speed aerodynamic performance and comfort. The soft stretch knit fabric offers excellent moisture-wicking properties to keep you cool, dry and comfortable. 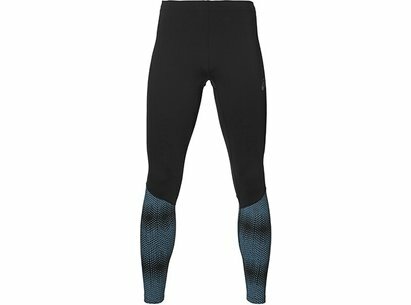 The tights also offer a reflective tonal print for safety so that the only thing on your mind is beating your personal best.